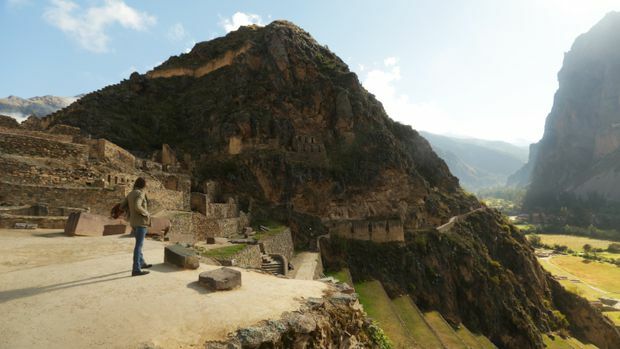 Peru's Sacred Valley stretches from the city of Cusco to the ancient ruins of Machu Picchu. While we’re waiting in a shabby town square in Peru’s Sacred Valley for the bike ride to get under way, a half-dozen stray dogs wandering about begin a hellacious brawl. There’s a lot of yowling and what sounds like tearing. In any Canadian city, someone would call the cops. The locals sitting around here don’t bother turning around. That reminds our guide, Jan, of something. That sounds like more of an enticement than a deterrent – but I was looking for adventure. I suppose this is it. Llama are not an uncommon sight during tours of the Sacred Valley. 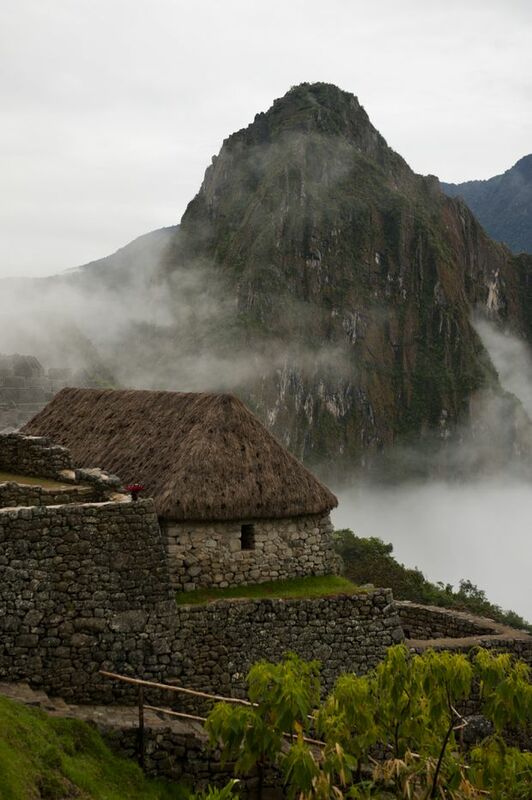 When a North American thinks of Peru, it summons an Indiana Jones-style tableau – ancient cultures and lost cities (Machu Picchu being the most famous of them, anywhere). Great news: It’s exactly like that. You can’t turn a corner without stumbling upon some Incan ruin or prehistoric hidey-hole. The views of surrounding mountains and sky are so postcard perfect they appear celestially pixelated. The air is funny – not just thin at this elevation (the lowest points around here are 2,050 metres above sea level), but preposterously fresh. It’s enough to inspire a person to attempt feats they never thought of possible. 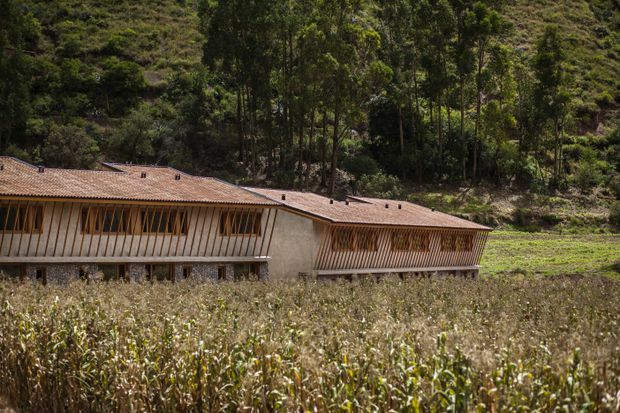 We’re staying at Explora Valle Sagrado, part of a boutique chain of South American resorts. 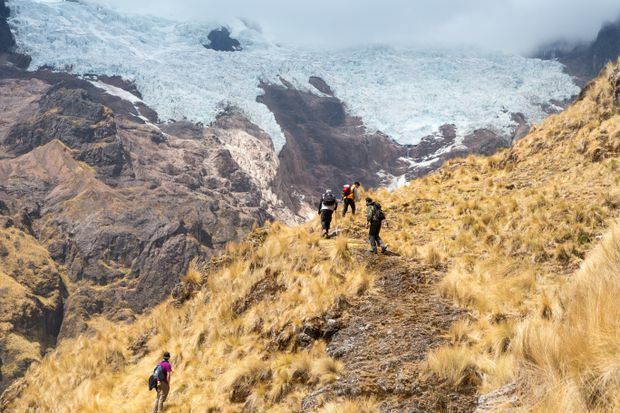 It’s in the heart of Peru’s Sacred Valley, the narrow, verdant basin that leads from the heights of Cusco down toward Machu Picchu. 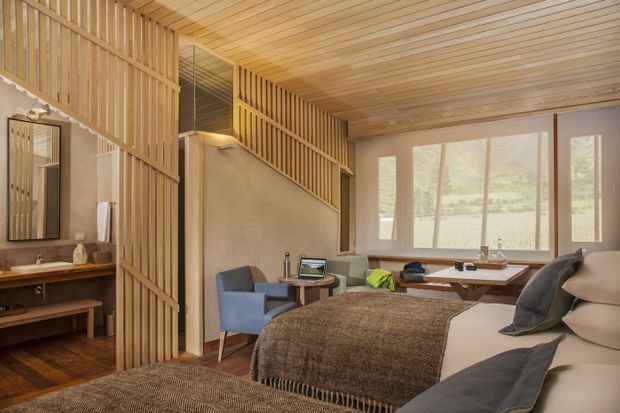 Explora Valle Sagrado sits in the heart of Peru's Sacred Valley. Explora’s unofficial dual emphasis is luxury and physical pain. The lodge is a pine spaceship laid across the valley floor, astride a cornfield. The only sound you can hear from your room is a truculent donkey who may be hiding under your window. For someone used to falling asleep to the sound of sirens, it’s blissful. The resort offers luxurious accommodations and physically demanding activities. First things first: I do not hike. Hiking is what our ancestors did, usually in a great hurry in the opposite direction of some approaching band of invading ruffians. It’s a part of my patrimony I’ve chosen to give up, like dirt farming and wearing the heads of my enemies on a belt. I’m sucking wind inside two minutes. Is this altitude sickness? And if so, will someone carry me to the lodge? There’s word they’re serving guinea-pig amuse bouches tonight and I’m excited. It’s not altitude sickness. It’s a lifetime of lassitude. And it’s terrible. The valley's views of surrounding mountains and sky are postcard-perfect. Eventually, panting, soaked in sweat and badly chafed in places a man should avoid chafing, we summit the climb and begin down. I would like to do a Rocky dance but I might pull something. We’re now being led on a different, more travelled road. A pair of elderly locals, one of them pushing a wheelbarrow piled with farm implements, passes us headed back up. “Where are they going?” I ask the guide. 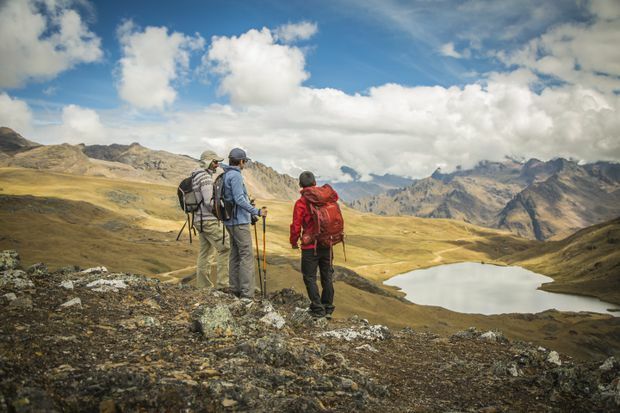 Explora has an onsite shop selling Patagonia outerwear – useful for the high-altitude bike rides and hikes on offer. The next day, my companions opt for a more advanced hike – far longer and at greater elevation. They’re getting near Everest base camp heights. I choose a beginner bike ride. “How long is that?” I ask a concierge. I haven’t yet figured out that “touristic” is the ugliest insult in the Explora language. I haven’t bought the right gear and at the last minute succumb to the altar of Patagonia outerwear. Explora has a shop onsite. It may be the best money I’ve ever spent, and I say this as someone who owns a Rowena clothes iron. We’re driven out to a small village an hour away and told to cycle back to the lodge along the banks of Urubamba River. It is driving rain. There are dogs. The only other beings around are dogs. None of them bother giving chase. They give us the eye as we pass. It’s cold and wet and, at a certain point, I want to quit. Then, somewhere in hour two, this all starts to make sense. I stop worrying about getting to wherever it is we’re going (we’ve shaken the poor guide and have no idea), and start enjoying the act of getting there. This is not like me. I’m reminded of why people travel – not just to see something different, but to be, however briefly, a different version of yourself. In a foreign place, you are whomever you want to be. Who’s to tell you any different? Despite limiting the number of people who can enter the mountain-top fortress, Machu Picchu is still filled with tourists. The next day I take a train to Machu Picchu (“It’s a little touristic,” our guide says, and I’m beginning to catch on). 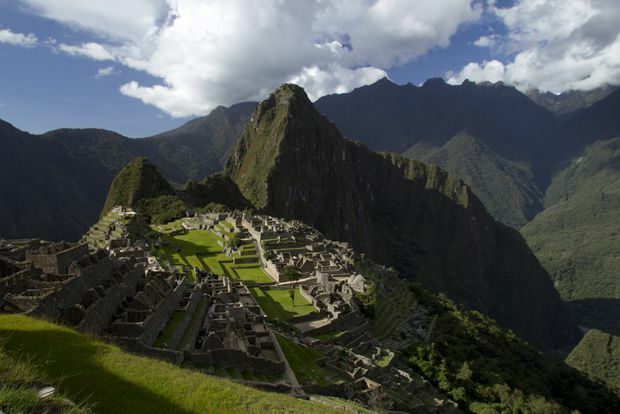 Machu Picchu is literally being pounded into the ground by tourism. They limit the number of people who can enter the mountain-top fortress, but it’s still crawling with them. I’m in the midst of this reverie when a pushy llama sidles up beside me and gives me that look I remember from the roadside dogs. There are dozens of llamas up here, a free-of-charge groundskeeping crew. “I suppose I shouldn’t panic,” I say to the guide, feeling pretty sure of myself. I’m a mountain man now. I know its ways. I stick my hand out and the llama takes interest. “They sometimes bite,” he says. 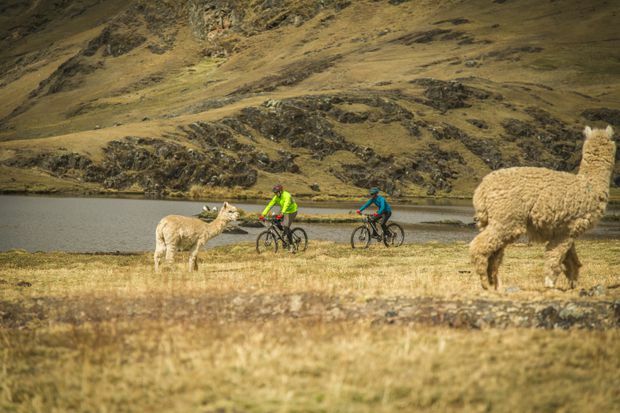 Attacked by a thuggish llama in Peru – what could be more adventurous? I leave my hand hanging. The writer was a guest of Goway Travel. It did not review or approve this article.